advisor, broker, or a banker - we’ve got resources for optimizing your marketing performance. Deliver essential information on time. Time is money. Make sure your message reaches the world first. Build intuitive automation workflows and mail daily updates with stock exchange listings and exchange rates. Send reminders about loan payments, credit card debts, and insurance policy expirations as deadlines approach. Use targeted segments to create hyper-focused mailings; making sure you only deliver the most relevant information to your clients. 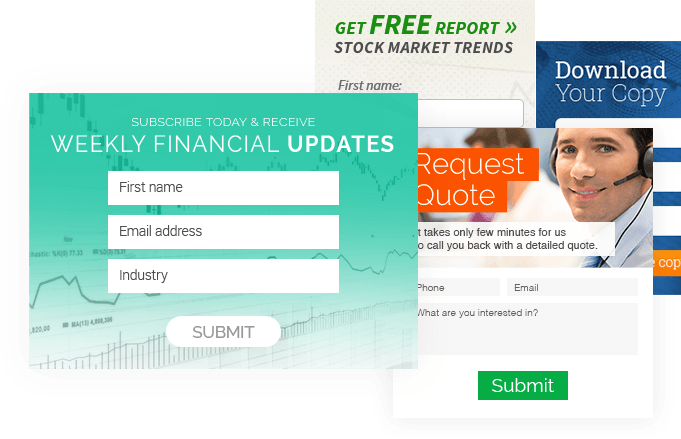 Create automatic alerts with industry news and performance of indices. Start tracking website visitor behavior and learn what areas of your site are garnering the most attention. Deliver punctual messages to worldwide financial clients at a consistent local time. 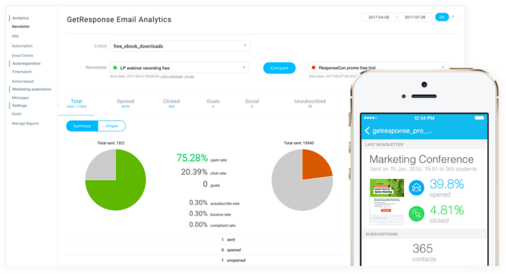 Use ecommerce integrations to deliver post-purchase mailings and track buying behavior. Make every offer look like a million bucks. Use financial services email templates to send videos from your experts to add a human touch to your communications. 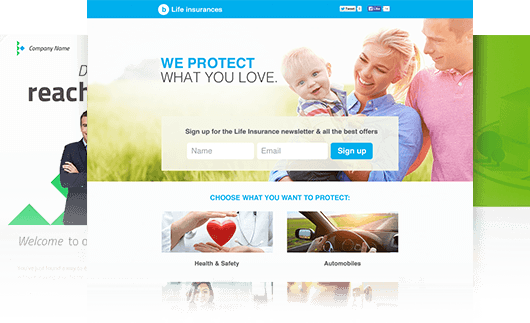 Create landing pages to introduce prospects to your financial services, insurance products, and investment funds. Use drip campaigns to share in-depth information about financial markets, investment banking, and exchange traded instruments. Use forms to enable prospects to get information about fees, commissions, terms and conditions. Don’t waste a second of your clients’ valuable time with information they aren’t interested in. Filter contacts through highly targeted custom filters and apply them to specific communication workflows. Turn prospects into investors and investors into loyal customers. Add or subtract scoring points for every interaction with your financial news and reward the most active users with exclusive market data. 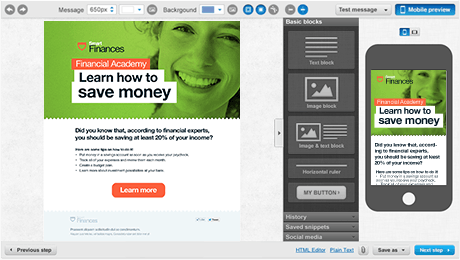 Create landing pages with case studies on how your picks outperform the market. Add sharing buttons to enable clients to spread the word about your analytics and financial forecasts. Track traffic on your website to define hot spots and interest trends, then follow-up with relevant communication. Keep your customers engaged with personalized content, local news, and insurance offers tailored to their needs. Establish personal relationships with your customers by providing access to your financial experts, insurance agents, brokers, and tax advisors. Use cart abandonment tools to keep your potential purchases from going stale. Prepare your customers to make independent decisions. Use forms for customers to sign up for your online banking courses, tax talks, or Q&A sessions with experts. Create video tutorials explaining the intricacies of financial markets. Send learning materials on how to save money, choose investment funds, and invest for the future. 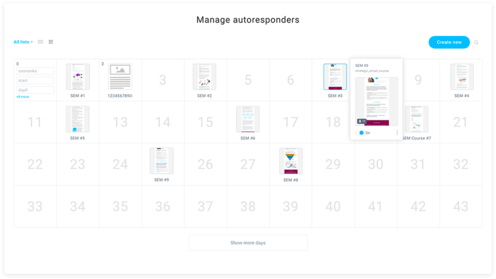 Create marketing automation workflows with education in mind and seamlessly guide participants through an educational communication series. Entice participation in your series by assigning scoring points for engagement activity. Contacts with the highest points snag an exclusive discount or promotion. Now you can get to know your clients better than they know themselves. Consolidate your marketing lists from CRM databases, client spreadsheets, and social media to manage all your contacts on one platform. Assign tags and segment your customers by location, area of interest, and financial services they use. Create custom filters for VIP customers, corporate clients, individual clients, and prospects. Then send highly personalized offers sure to pique their interest. Define criteria and create unlimited data reports, charts and statistics to measure performance and meet your targets. Use web event tracking data to determine your website hot spots and weak points. Ecommerce integrations will allow you to track purchase behavior and optimize future promotions. Invest in security and compliance. 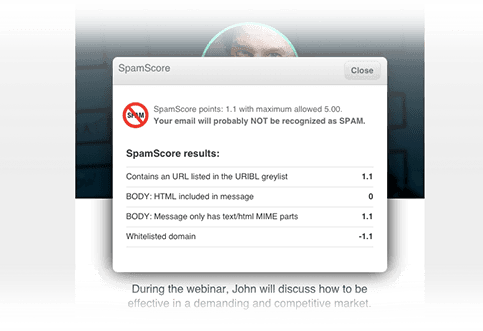 Ensure maximum data security and minimum spam complaints to protect your reputation. Process unsubscribes automatically to prevent unsolicited communications that could result in fines and penalties. Whitelist your messages to make sure they get through the systems of all major email service providers. Make sure your content is safe and secure, thanks to GetResponse’s 99.5% deliverability and 100% security. Reach clients on the go. Are you catering to the needs of an increasingly mobile society? Make it easy for busy clients to read messages on their mobile devices. Print QR codes on your brochures to direct prospects to breaking news in a flash. Allow readers to subscribe to daily industry indicators with just a mobile tap. Send updates about mobile applications and online transactions. Your customers will love the incredible campaigns you create using GetResponse. Find out all GetResponse can do for your financial services.